Of the top-20 most-expensive megaprojects in the history of the United States, five of them are bridges. 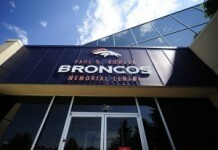 As the Denver Broncos found out on Tuesday, you have to pay good money for a quality bridge. Denver signed former Minnesota Vikings quarterback Case Keenum to a deal worth two years, $36 million. It doesn’t take an engineer to realize that Keenum’s deal makes him the latest bridge quarterback on Denver’s list of them since Peyton Manning decided to call it a career two years ago. As far as bridges go, $36 million is pretty cheap. 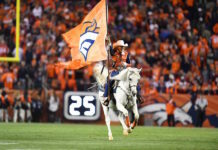 The Broncos in 2016 and ’17 put themselves in a tough position heading into the 2018 season, and signing Keenum was only the first step in patching the many holes that they have before the season gets rolling. It hurts to say, but as much as the Broncos claim they are trying to win now and from now on, they are in rebuilding mode. And that’s okay. After the disaster at quarterback in 2017, they’ve at least picked up someone who has shown that he can help a team compete when placed in the correct situation. It’s unfair to expect Keenum to replicate his 2017 season when he dons the orange and blue, though. The Vikings caught lightning in a bottle with him last season. Now it’s up to John Elway and company to create an environment that Keenum can be successful in again once more. If anything, Keenum can hopefully give the Broncos enough time to figure out their next plan down the road. It’s not wrong to call a spade a shovel, which means it’s not wrong to call Keenum a bridge. He was Minnesota’s bridge to Kirk Cousins and had one of the better seasons a quarterback could have in the process. He completed 67.6 percent of his passes for 22 touchdowns and seven interceptions in 15 games. Trevor Siemian, Brock Osweiler, and Paxton Lynch threw for 19 touchdowns and 22 interceptions combined. The Broncos have the No. 5 pick in the 2018 NFL Draft, and there are at least four quarterbacks projected as first-round talents. Lynch still has two years remaining on his rookie contract to try and turn around his development. And there is always another free agent to be had in the offseason. 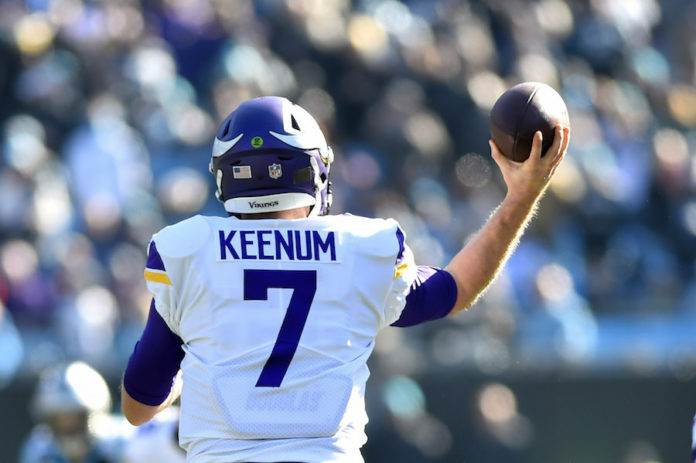 Keenum might not be the long-term answer, but Broncos Country can hope that if he is just a bridge that he leads to something good on the other side.